New President for Watford Rotary! Handover to the new President of Watford Rotary Fiona Daly from the outgoing President, Hitesh Tailor. At the end of our Presidents Year, Rotary Clubs normally have a handover ceremony followed by a dinner. 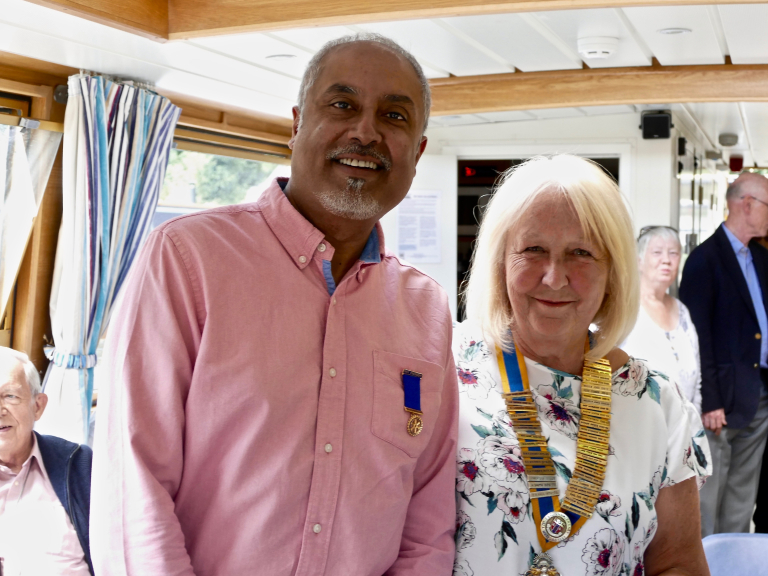 This year Watford Rotary decided to do something different, the handover took place on a cruise along the Grand Union Canal on the Sheldrake canal boat from Apsley, on a beautiful summers day and finished off with a superb cream tea which was thoroughly enjoyed by all. Watford Rotary had a very successful year under Hitesh’s Presidency, which enabled them to make donations to a number of local charities.